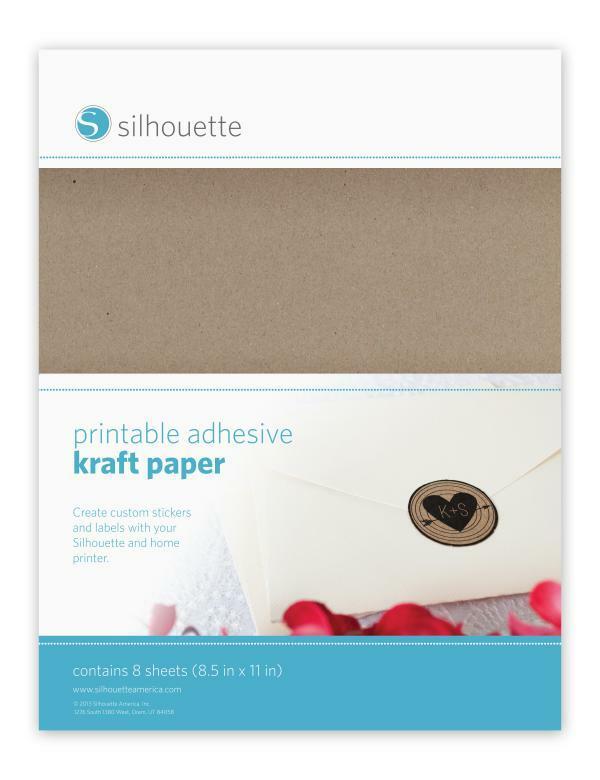 Silhouette Printable Sticker Paper is a great way of customising everything and anything that you want and with 5 different varieties to choose from there is a sticker paper for every occasion. 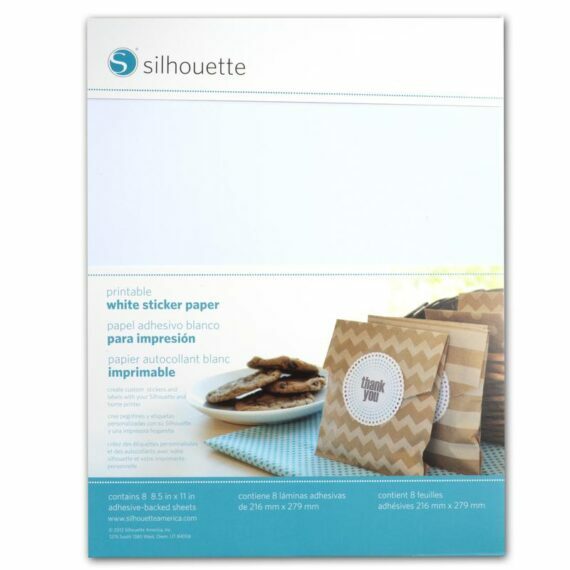 Silhouette Printable Sticker Paper can be used to create stickers and labels for either fun or to serve a purpose around the house or work space. As this material is printable you can feed it into your normal inkjet or laserjet printer and customise it with any image or pattern that you wish. After you have printed out the images onto the sticker paper simply cut around them using your Silhouette Digital Cutting Tool and the Print & Cut feature so a truly bespoke sticker project. 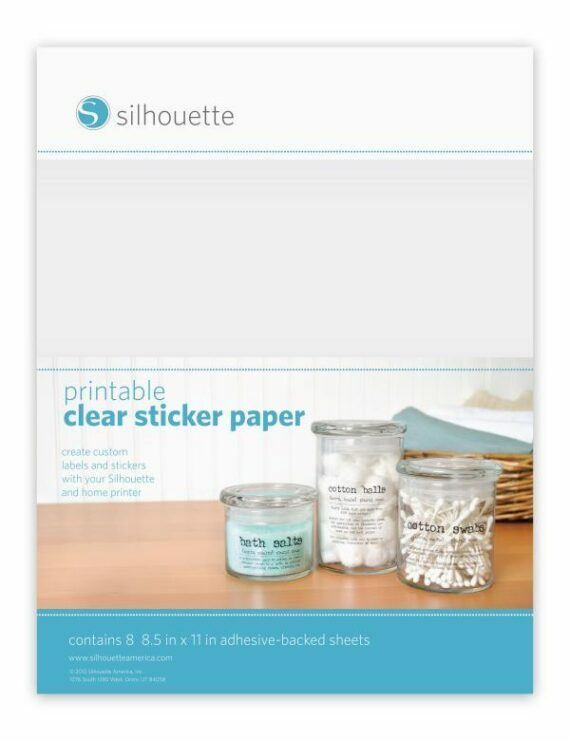 The Sticker Paper comes in 5 different colours (White | Clear | Glitter | Kraft | Glow-In-The-Dark) and sheet size of 8.5″ x 11″.